So, the Senate has confirmed Neil Gorsuch to the Supreme Court. What happens now? Gorsuch must take two oaths for the position of associate justice, the “constitutional oath” administered to all federal officials under Article VI of the Constitution and the “judicial oath” required under the Judiciary Act of 1789. How and where these oaths have been administered to new justices, and even how many times, has varied widely in recent years. Six of the eight current members of the court participated in White House events at which they took the constitutional oath, even if that was purely for ceremonial reasons. All eight, as most of their predecessors had, separately participated in the court’s investiture ceremony, which I’ll describe in further detail below, in which they took the judicial oath (again, sometimes just for ceremony) before taking their seats on the Supreme Court bench for the first time. For various reasons, most current justices first took one or both of their oaths privately. Minutes after the Senate confirmation vote today, the Supreme Court’s public information office issued a release announcing that Chief Justice John Roberts Jr. will administer the constitutional oath to Gorsuch at 9 a.m. on Monday, April 10, in a private ceremony in the justices’ conference room. Later that morning, Justice Anthony Kennedy, whom Gorsuch served as a law clerk, will administer the judicial oath in a public ceremony at the White House. President Barack Obama held no White House oath ceremonies for his two appointees, Sonia Sotomayor and Elena Kagan, but he attended their investitures at the court. Before Obama, every president from Ronald Reagan to George W. Bush held such events at the White House, although Reagan did not hold one for his first appointee, Sandra Day O’Connor. Among current members of the court, Justice Anthony Kennedy may have set a record by taking his oaths four times in one day. Joining the court on Feb. 18, 1988, after the extended vacancy following the 1987 retirement of Justice Lewis Powell Jr. and the defeat later that year of Robert Bork, Kennedy took the constitutional and judicial oaths privately in the justices’ conference room, followed by his investiture ceremony in the courtroom, and then a ceremony in the East Room of the White House with Reagan later that day. Justice Clarence Thomas took his constitutional oath on Oct. 18, 1991, on the South Lawn of the White House. Then-Chief Justice William Rehnquist’s wife, Nathalie, had died of cancer the day before. Some reports say the court had asked the White House to delay the ceremony, but it went on because of an eagerness to get Thomas sworn in after his bruising confirmation battle. 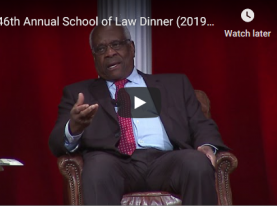 There were also reports that White House lawyers had suggested Thomas would be a member of the court after taking the constitutional oath, notwithstanding his scheduled Supreme Court investiture on Nov. 1. But Justice Byron White, who administered the oath to Thomas at the ceremony, seemed to throw cold water on that. A few days after that ceremony, Thomas learned that his clerks and staff members could not move into the Supreme Court building until he had taken the judicial oath. So Thomas, reluctant to bother the grieving Rehnquist, checked with the chief justice’s administrative assistant, who told him to show up at the court building on Oct. 23. Thomas recalled in his 2007 memoir, “My Grandfather’s Son,” that Rehnquist met them in the justices’ conference room promptly at 11 a.m. Thomas had been told he could invite his wife, Virginia, and his chief proponent, Sen. John C. Danforth (R-Mo). After the oath, the chief justice “shook hands with each of us, congratulated me, and left,” Thomas wrote. For Chief Justice John Roberts, who was confirmed just weeks after Rehnquist’s death, then-Justice John Paul Stevens came to the White House to deliver both oaths. This was significant because Stevens held a strong view that newly confirmed justices should be sworn in only at the Supreme Court, out of respect for the separation of powers among the executive, legislative and judicial branches. Stevens had considered Reagan’s comments at Kennedy’s 1988 White House ceremony — about the new justice being someone who would follow the law rather than make it — to be “both offensive an inappropriate,” he wrote in his 2011 book, “Five Chiefs.” Stevens decided he would not attend White House swearing-in ceremonies in the future. “I was tempted to adhere to that lonely position when asked to come to the White House to administer the oath to John Roberts but concluded that a refusal to participate would have been widely misinterpreted as manifesting disapproval of his appointment,” Stevens wrote in his book. Justice Samuel Alito took both of his oaths privately just hours after his confirmation on Jan. 31, 2006. That allowed him to join some of his new colleagues in attending Bush’s State of the Union address that evening. “Last night, he looked pretty good in that black robe sitting there,” Bush said about Alito at the White House ceremony the next day, when Alito took the constitutional oath for a second time. 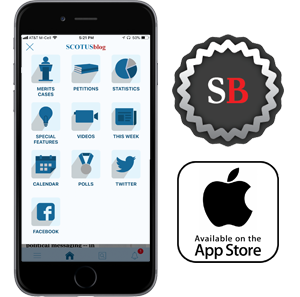 Justices Sonia Sotomayor and Elena Kagan, who, like Ginsburg and Breyer, were confirmed during the summer, each had both the constitutional and judicial oaths administered at the court within days of their Senate votes. Their constitutional oaths were administered by Roberts in the justices’ conference room, and the chief justice performed the judicial oath for each in short televised ceremonies held in one of the court’s larger conference rooms. Roberts said at the time that being sworn in then would allow each “to begin work right away,” before their investitures, which would be held closer to the start of the court term in October. Although the White House and the impromptu Supreme Court oath ceremonies have followed a range of formats and scripts since the Reagan era, the court’s investiture proceeding is much more bound in tradition. At this short ceremony, which is often though not always held on a day when the court is not otherwise sitting, the courtroom is filled with VIP guests of the justices and the incoming member, often including retired members of the court, the attorney general, and the president. President Harry Truman was the first to take part in an investiture at the court when he attended the ceremony for his first appointee, Harold Burton, in 1945, according to the court’s website. Every president since then has attended the investiture of at least one of his nominees, except President George H.W. Bush, who skipped the court ceremonies for Thomas and Justice David Souter, and President Jimmy Carter, who never got an opportunity to appoint a justice. During the investiture, the incoming justice is escorted to a historic chair that was used by Chief Justice John Marshall in the early 19th century. The chair is placed in the bar section near the desk of the clerk of the court. The guest of honor sits as the attorney general presents the new justice’s commission and the clerk reads the commission. Gorsuch will then take his seat at the far right of the bench (as viewed from the perspective of spectators).